Without a doubt, maintaining normal postprandial blood glucose levels is critical to your health. It helps you avoid diabetic complications such as heart disease, retinopathy, neuropathy and other health problems. Postprandial refers to glucose measurements that are taken after your meal. So ‘post meal,' ‘after meal,' and ‘postprandial' all refer to the same thing. Keep reading to find answers to 15+ questions. And if you have your own, feel free to ask them below. Postprandial blood glucose is your “after meal” measurement. Take it 1-2 hours after your first bite of food. 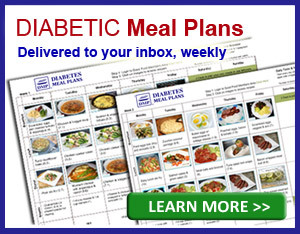 What is the maximum safe blood sugar level post-meal? There are a few different standards depending on the recommending agency and a person’s particular condition. The American Association of Clinical Endocrinologists have a conservative (tighter/more stringent) goal of 140 (7.8) as the max “safe” level 1-2 hours post meal. Whereas the American Diabetes Association has a more liberal goal of 180 (10). Obviously 140 (7.8) or lower is best because that is within the normal optimal range. But some people are “allowed” a little more wiggle room – often those who are older, on a more difficult to manage insulin regimen, or have ‘brittle’ diabetes. These people may need looser goals to prevent hypoglycemia. Is a postprandial blood glucose average of 120 (6.6) good? Yes, if that's your average you are within a healthy normal range. As we just covered above, a postprandial blood glucose of 140 (7.8) or lower is best because that is within the normal optimal range. This simply refers to your after meal measurements being higher than normal. Would love to know if the time it takes to metabolize a sugar source makes a difference on my blood readings. E.g., two tangerines v.s. two tangerine's worth of juice. Which will give me the highest reading? There probably wouldn’t be much of an overall difference as the sugar content would be the same – two tangerines worth. 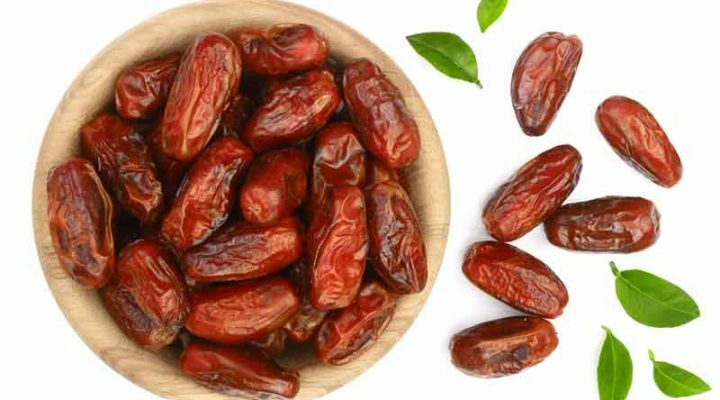 The fiber content would be higher in the whole fruit, but without protein and fat to slow it down, they will probably have a similar spike. Your question is essentially what the glycemic index (GI) was developed to address. While it is an interesting factor to consider, there are too many variables to use it solo. Even within the GI, there is a lot of variability between individuals and when multiple foods are added, it changes. We know that the most critical factor impacting glucose is the number of carbs and second most–the type of carbs. Sugars and white refined starches are likely to spike, whereas high fiber sources such as vegetables, beans, etc, are much more stable. You could always conduct a blood testing experiment on yourself and do a pre-reading and post-reading check and compare the difference in elevation. Will going gluten free help my after meal numbers? It depends on what you substitute your “gluten” intake with. Gluten itself does not affect your blood sugar levels significantly, it’s simply a protein. However, gluten is a protein found in grains–specifically wheat, rye, barley and possibly oats (some people who do not tolerate gluten are still sensitive to oats and most oats have been manufactured in a facility which also uses other grain sources and therefore contaminates the oats). Each of the above-mentioned grains are high in overall carbohydrate content. Gluten free grains (rice, buckwheat, amaranth, quinoa, millet, etc) and many gluten free substitutes are also high in overall carbohydrate content. For example, if your gluten free pasta is made of corn flour and your gluten free muffins are made with rice flour (not to mention added sugars) you are not decreasing your carb intake. Therefore, your blood sugar levels are unlikely to change. So the answer is no – going gluten free won't affect your after meal numbers. 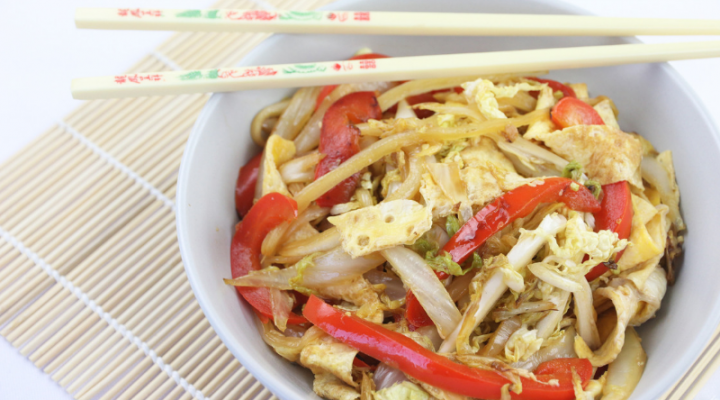 However, if you swap out wheat or gluten free bread for lettuce wraps or gluten free pasta for zucchini noodles, of course this will help your numbers! So the message is: your overall carb intake matters much more than gluten. Simply switching to a “gluten free diet” is unlikely to make any difference. What is the relationship between carbs and sugar? I thought sugar was the thing that is bad, but we count carbs. I don't understand? How is sugar and carbs related to my blood sugar? This can be very confusing. But the basic idea is that the total carbohydrates is the number one thing that impacts blood sugar and A1c levels. The thing to understand is that sugar is one type of carbohydrate. Many carbohydrates you consume, for example, whole grain bread, will later break down into sugar. When people talk about sugars and carbohydrates, or even glucose, they are often referring to the same thing. All carbohydrates (sugar being one of them) become sugar/ glucose in the bloodstream. 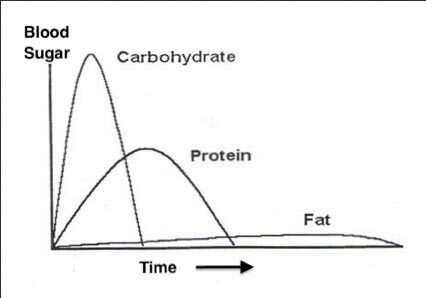 That's why the total amount of carbohydrates you eat is the main factor to monitor. Of course, the type of carbs you eat is important too. Simple sugars and “added” sugars (white starches and sweets) provide very little satiety and spike blood sugar more quickly than other types of carbohydrates (such as non starchy vegetables). Carbohydrates higher in fiber are more nutrient dense choices as well – they provide vitamins, minerals and beneficial compounds your body needs. So while it is always best to keep your sugar content low, carbs is most important to monitor because all those carbs will eventually become sugar in the bloodstream. What ratio to fruit and protein should I eat to reduce the huge effect on post-meal blood glucose? There really is no “special” or “magical” ratio to follow. However, just keep in mind that if you do choose to eat some low carb fruit, make sure your “protein” food doesn’t contain a lot of carbs. For example, eating fruit with flavored yogurt isn't a good idea because flavored yogurt is notoriously high in sugar. Whereas eating your fruit with plain Greek yogurt, eggs, cheese, nuts, or cottage cheese will provide both protein and fat sources to balance out the fruit. My post-meal levels seem to fluctuate a lot, how do I maintain a normal level of the sugar? Firstly, remember there is some degree of variability in glucose throughout the day and this is normal in people with or without diabetes. There is also some variability in the meters themselves. If by “fluctuate a lot,” you mean your numbers are 110, 116, 122, 97, 118, etc, that is normal and healthy – your levels are still being maintained within a ‘normal' range. However, if they are fluctuating out of range like 65, 147, 248, 83, 300, then you have a different issue going on. First, make sure the lifestyle factors you can control, are in check and consistent. Watch your daily carb count – remember, the total amount of carbs you eat has the greatest impact on your blood sugar levels. Get adequate amounts of sleep, which means going to bed and waking up at reasonable times. Once you get all of those things in check, if you still have blood glucose levels that are all over the place, it is time to schedule an appointment with your doctor and/or educator to discuss medication management and get more personalized help. Some days when I check my blood sugar after a meal, it is lower than fasting – fasting 94 (5.2) and after meal 89 (4.9), why is that? Firstly, it is not uncommon for people with type 2 diabetes to have fasting sugar higher than postprandial. Having a higher fasting glucose does sound strange because you haven't eaten or done anything, right? But even when you don't eat the liver can still produce glucose, so for some people, this may be a case of what's known as the dawn phenomenon. However, because both of your pre and post meal numbers are in range (not too high and not too low), this is exactly what you are aiming for! Remember there is always fluctuation and variability in glucose. So I would not worry about it unless you are dropping into hypoglycemic (low blood sugar) range, or your levels are higher than they should be. Another thing to question in this case is how long did you wait after the meal? If it is less than an hour or longer than 2 hours, your reading isn’t reflective of the meal. It may also be because your medication is working well. There are usually a number of factors to consider. But overall, if your levels are within the normal healthy range, you don't need to be concerned. The optimal post meal (postprandial) blood glucose level is below 140 (7.8). How long after a meal do I test? Between 1 and 2 hours from the first bite of food. It does help to have a watch or alarm you can set to notify you. 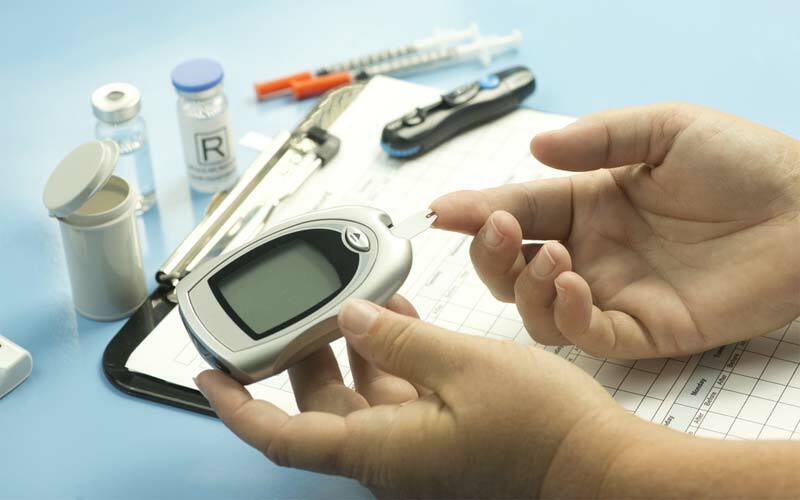 Why does blood glucose change all the time? Everything in your body is changing all the time. There is fluctuation in your temperature, your blood pressure, your pH, blood sugar, etc. This is the essence of metabolism. Like a machine that starts off with raw materials and converts them to usable energy, our bodies process nutrients, burn food for fuel, use that fuel, send signals to require more nutrients, and so on. Think of it like this: The work of the heater or air conditioner is to maintain a comfortable temperature. So in the same way room temperature can vary a bit and is always changing in small degrees, the body is constantly trying to maintain general equilibrium. 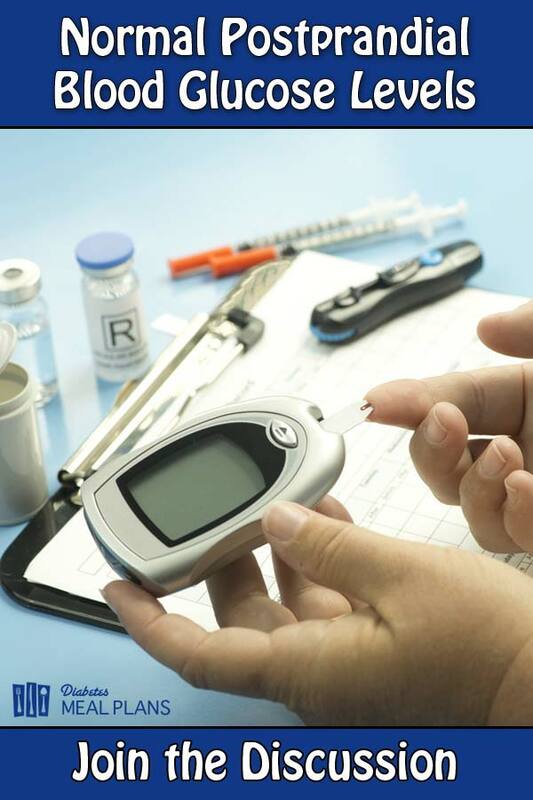 Your blood glucose is not supposed to stay exactly the same. But it is supposed to stay within a healthy ‘normal' blood sugar range. Should I be testing after every meal? That is between you and your doctor. It depends on your levels, your control, your goals, and the usefulness of the information. Remember that the purpose of testing is to provide you and your team with data to make informed decisions. If testing after all meals is helpful to this end, by all means, do it! Testing regularly can certainly help you understand your body faster and monitor your goals more closely. Sometimes if you are in much better control and getting consistent numbers over time, it’s ok to back off a bit and give your fingers (and wallet) a bit of a break. Why does my sugar spike after meals? Because food raises blood sugar. Primarily the nutrient that causes “spikes” is carbohydrates. But all food has the effect of converting to energy, to some degree. It is expected that glucose levels will elevate after meals, especially when they contain carbs. That's why it's recommended that you count your daily carbohydrate intake so you know what you're consuming – don't leave it to chance! But, if there is a >40 mg/dL (2.2 mmol/l) increase from beginning to end of a meal, that indicates a meal that is too high in carbohydrates. If you are seeing this pattern, take note of what you're eating and how many carbs you ate and work on decreasing those carbs. Or, if your carbs are already really low, work with a medical professional. It may be that you need to introduce medications or manage them differently. How come the food I eat one day brings my blood sugar down and the very next day my blood sugar reading is higher? It’s hard to say without knowing more details. What is the food? Was it a source of carbohydrates? And was it eaten alone or in combination with other things? For example, if the salad you ate the first day with chicken “brought it down” but it went up the next day when you ate a plate of pasta, it’s probably the additional carbs or the combination of foods. Also, remember there are other variables besides food that can impact blood sugar–stress, sleep, exercise, hormonal changes, etc. It may not be the food itself, but the variable. Was the food eaten in different context? Did your salad have no dressing one day, but a sweet western with croutons the next? Keep in mind that there are always several variables to consider. Be sure when doing your blood test in pairs to test before the meal, then 1-2 hours after the meal. Finally, remember that meters aren’t 100% accurate. So if you're talking about 10 or 15 points (mg/dL), it may be that there wasn’t really as much difference as you may think. So what is the 2 hour postprandial glucose goal? The optimal goal is less than 140 (7.8) or lower because that is within the normal healthy range. However, in some cases your physician may set a higher goal of 180 (10). Hopefully all this info resolves any questions you may have about normal postprandial glucose levels. However, if you still have questions, please ask them below and I'll do my best to answer them. Please pin, tweet or share this info to help others. Thanks! I am 80 year old diabetes patient. I am having type 2 diabetes from 30 years. I do not have any diabetes complications till now. I am an eighty year old diabetes patient. I am having type 2 diabetes from 30 years. I am taking 30/70 biocon insulin from 15 years. I am taking 40 units in the morning and 10 units in the night. Yesterday my 2 hour post dinner blood sugar value is 238 mg/dl. 3 hours value was 249 mg/dl. 4 hours value was 194 mg/dl. This morning my fasting blood sugar was 123 mg/dl. I am not having any complications till now. Do I get them in future? While I can’t predict the future, the longer you leave your blood sugar uncontrolled the more likely it is that you may develop complications down the road. Your goal is to keep your levels as close to “normal” as possibly; ideally under 140mg/dL after meals and under 130mg/dL in the morning. Have you tried following a low carb diet? Based on our research we have seen a lot of success when people transition to this type of lifestyle. Is the high postprandial blood glucose level of 249 mg/dl dangerous? That is definitely higher than desired, your goal should be closer to 140 mg/dL. 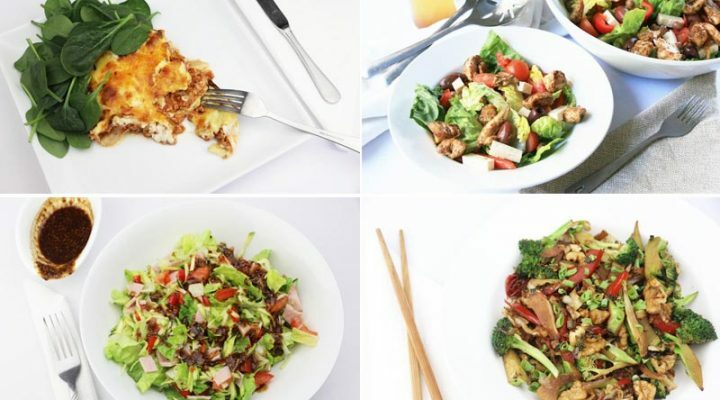 Are you currently following a low carb diet? Try starting with some of these tips to see if it makes a difference in your sugar levels. How long is ” longer “. Is it one day, one week, one month, or one year? Again, I can’t say a specific time because its going to vary from person to person. Certainly one high reading isn’t going to cause automatic trouble, so it would likely takes years of uncontrolled levels to result in complications. Is the high postprandial blood sugar level dangerous? My fasting sugar level is 86 and PP blood sugar level is 65.Is it normal? A normal fasting level is anything under 6.0 mmol/l and after meals 7.8 mmol/l. Therefore, your fasting level seems high but your PP seems normal. Being that your sugar levels are within normal range you may be interested in learning how to PREVENT type 2 diabetes. This information can help ensure your levels stay at that current range. I have diabetes 2 and am on medication. My daily readings were good until I went on a diet cutting sugar and gluten out. I find that my blood pressure readings have lowered, whereas, my fasting numbers have gone over the high range. Will the high readings lower once my body gets used to the new diet? I have not increased the amount of food intake nor changed my daily pattern for exercise and sleep. When you cut sugar or gluten-filled products you are likely cutting lots of added salt, which could potentially influence blood pressure. It could potentially put stress on your system, which may temporarily raise blood sugar. Keep checking your numbers and things should settle down. You may also want to discuss the changes you’ve made with your doctor, in case any medications need adjustment. On July 22, I asked a question about Lantus Insulin where some info on several sites state that a serious side effect of using it is that it causes cancer. I have not yet received a reply from you. Can you confirm or deny any of those remarks? Thanks. I’ve not heard/read anything regarding lantus having a side effect of cancer. Drugs are required to list all potentially known side effects and of these, cancer is not listed. I’ve never read this in the literature available or from a credible source. If you can provide the sources of this information, I may be able to comment further. I am suffering from type 2 Diabetes and have been on medication. I was able to reduce medecine intake by changing pattern of eating. I have found my PP Sugar levels very sensitive to what I take in breakfast. Why PP after breakfast is so sensitive than after other meals or at any other time? Good question–people can be more sensitive certain times of the day than others. This is especially true in the morning due to the way our hormones work. Sometimes people need a little more medication or fewer carbs at breakfast than others meals. That’s a good point I didn’t clarify in the article! Is it important to have the pre-meal reading when doing a post meal reading or can the post meal reading stand on its own? I currently choose to only do one reading a day (fasting) and am considering alternating between fasting and post meal. This explanation has given me hope that I may be able to make some sense of it. Months and months ago I gave up doing multiple readings a day because they never helped me make a decision to do anything different. Good question Jim–it really depends on what you’re trying to learn from the reading. If you are simply wanting to know what your blood sugar is post meal (with a goal of wanting it to be <140 or whatever your individualized goal is), just checking after meals is great. But you if you are wanting to learn the effect of that particular meal, you would want to take a reading before AND after. If you check your sugar after eating a salad with grilled chicken and find it is 283, you can easily become discouraged and conclude that you can't even eat a salad! But what if your level was 275 before eating. In that case, the meal didn't really have that much of an impact on your glucose levels so you'd want to address why it was high before the meal. If it were me, I would vary it as you are, but on occasion, I would test in pairs even if it meant one day I didn't test (unless you are taking insulin and need to know before meals) on another day if your strips were limited. In the morning after doing morning rituals I’ll take fenugreek (soaked over night) water and eat seeds along with three or four ladyfingers (soaked over night) water and eat them. Then I’ll walk for 30 to 40 min. Then after bath I’ll take one chapati ( mixed flour) along with vegetables and half cup milk with neem and tulsi leaves at 7:15 am. Then at 10:30 am with salad I’ll take one multi grain or besan cheela or one and half multigrain roti with vegetables. Before this I’ll take one tea spoon of karela and tulsi juice of baba ramdev .then after two hours go for pp test . My fasting is 76 and pp is 67 with hba1c is 5.9. At night I’ll take 10 mg storvas from last 5 years. I’m not very familiar with a couple of the items you listed so difficult to comment. Assuming ladyfingers are the cookies (?) I would avoid as they are traditionally made with white flour and sugar. The rest of the items will really depend on the amount of total carbs–the portions are key. Check the labels to discern the portion sizes. It sounds like your fasting is spot on (and good A1c!) and your pp is a bit low. Are you taking any glucose lowering medication? You may have achieved good enough control to discuss reducing it with your physician. I noticed, you are a little better than most of the normal health personal, but still are missing the point, that too many simple carbs,raise blood sugars. 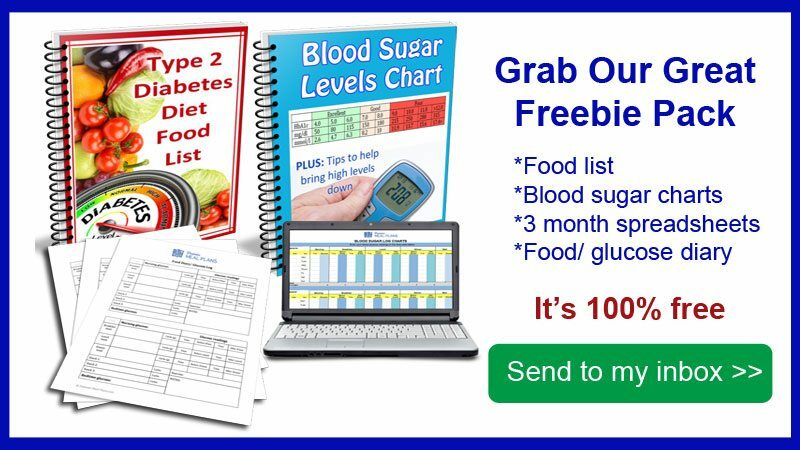 I am 78 years old and have diabetes, over fifty years.I had five heart bypasses, two stints, chronic kidney problems ,for the last 20 years.My HBa1c has been under 7.5 %,and is now at 5.5% Normal blood can be found on google at, Blood sugar 101 pdf by Jenny Ruhl , or at dr bernstein university. He is a type 1 diabetic of over 70 years, and has over 100 videos on normal diabetes at this location. The ada promote high carbs so as not to loose there add moneys. Recent Survey says: high carb meals give more hypo’s than low carbs, when on diabetic lowing meds ,because it is difficult to time, high blood glucose effects, with high insulin absorption ,resulting in high bg’s , then hypo’s. Robert, thanks for sharing your thoughts but if you’re new here you may not be aware that we encourage a low carb diet. We haven’t missed any point at all because the only carbs we really recommend are non starchy vegetables. We have members with type 2 diabetes and prediabetes taking our 30 Day Turnaround Program who are bringing their blood sugar from the 300s down to normal in just 30 days, along with losing substantial weight and achieving other health improvements. And many of our VIP members have lowered their A1c back to normal. I am not on medication. Without medication after one and half month my hba1c is 5.9 .my fasting is 76 but pp is 67 . Please comment. Your fasting level is great and A1c is right in the ‘prediabetes’ range so plenty of wiggle room for incorporating lifestyle changes. I’m a little concerned your post meal glucose is so low. This is not very common in people who aren’t taken diabetes medications. Are you taking any other medications which may lower blood glucose (check with your pharmacist)? If not, you may be experiencing post prandial hypoglycemia. How many carbs are you eating during meal times? Remember the goal is not to eliminate them or go too low, so if you’ve made drastic reductions, you may need to increase the healthy carbs. 30 grams at a meal is a good starting point if you are under that-try bumping them up a bit to avoid that post meal low. Also be sure they are complex carbs, predominantly non starchy vegetables, not simple white refined carbs or sugars (which can quickly spike then drop your levels). My am level seems to always be around 125. The overnight tast is 8 hours. During the day as I remain active it usually reads round 110. Posprandial – 2 hours is usually round 140-145. How r these numbers? R they within the norm? Those numbers aren’t too far off! It sounds like your daytime readings are right on target and meal times are just a bit higher (maybe check the amount and types of carbs you are currently eating and do a trial of bumping down by 5 grams or so if they are on the high side). Your fasting level is higher than optimal, but this isn’t 100% in your control. Some of it is due to loss of pancreas function. Daily exercise and modest weight loss helps wonders with this fasting level! Thank you Elizabeth. Your reply is very helpful. I’m going to immediately institute some changes I’ll let you know how it goes. Again,thank you. Great–you are more than welcome! Keep checking in, we’d love to hear how you’re doing! Keep tracking and note patterns. Some people are higher in the morning and some are higher after eating. This will help determine the best course of action in terms of diet intake and meds! What should be a good test number before bedtime? Any time after eating, under 140 (tight guidelines) is optimal, under 180 is acceptable (more liberal guidelines).